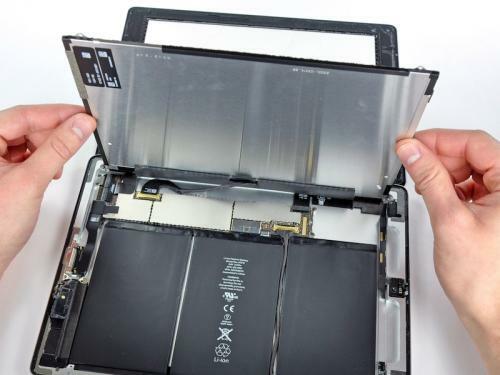 The iPad 2 has only been out for about an hour, but the folks at iFixit already have a 16 GB Wi-Fi model in hand and are tearing it down to see just what's inside the revamped version of Apple's popular tablet device. While iFixit has only just gotten the new iPad open and has yet to get into the details of what's inside, we'll be watching to see what they find and updating this post accordingly. - The iPad 2 seems to use essentially the same Broadcom touch controllers and Wi-Fi chip found in the first-generation iPad and other recent iOS devices. 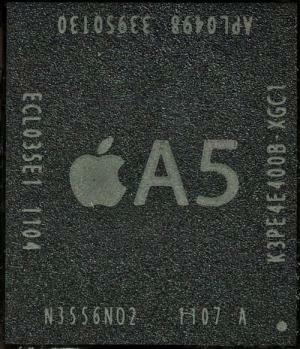 - The A5 system-on-a-chip carries manufacture dates of January/February 2011, but iFixit has yet to offer a deciphering of other codes found on the packaging. In particular, it has yet to be determined whether the package is being manufactured by Samsung or TSMC. -The three-cell 25 watt-hour battery offers only slightly more power than the 24.8 watt-hour battery found in the original iPad, and comes in a much flatter form factor to help Apple achieve the significantly thinner design for the tablet. - Despite the redesigned speaker grille, the actual speakers remain very small, and appear to almost be an "afterthought". 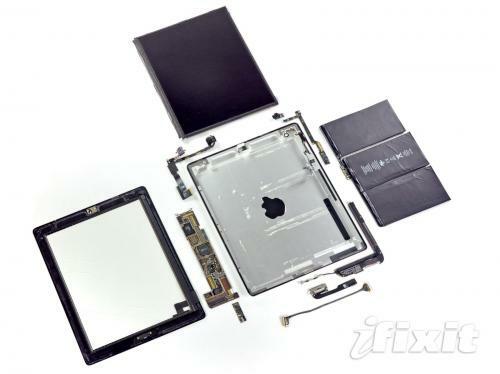 - Overall, iFixit finds the iPad 2 to be very densely packed on the insider, but very "neat and tidy". There is very little empty space inside the body, unlike the original iPad. Apple has also chosen to use significant amounts of glue to hold parts together as opposed to screws.